Thinking about paving your driveway? It’s a smart, cost-effective move! 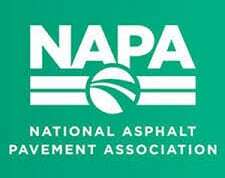 Asphalt paving has many benefits which last for years with minimal maintenance. Besides the performance advantages in inclement weather, blacktop paving, as it’s often called, gives your home an inviting look, increases “curb appeal,” and adds value to your real estate investment. Not affected as much by salt as concrete. 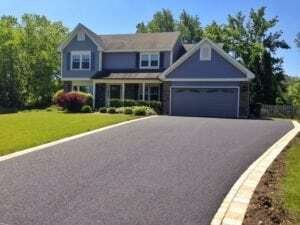 For residential driveway construction, asphalt is one of the most cost-effective options available. And, preventative maintenance is less costly than other surface materials. Porous asphalt is a special asphalt mix that allows water to drain through the pavement into a subgrade reservoir. A smooth, good-looking appearance, porous pavement is easy to maintain. And, it’s an excellent choice for managing stormwater runoff problems. What’s more, it can be used to meet local impermeable surface codes. Whether your paving project requires repairing driveway cracks or laying down new pavement to improve stormwater management, B & S Contracting is your asphalt driveway expert. And we offer preventative maintenance services for patching and pothole repair. As a reputable residential paving company, B & S Contracting will make sure to patch any serious cracks or holes in the asphalt first before placing down the overlay. We will also clean the surface thoroughly, treat any areas that are oil-stained, then apply a tack coat, or asphalt emulsion, to the surface which creates a bond for the new surface. For your residential driveway paving, give us a call. We’re not just your local paving contractor, B & S Contracting is a VDOT award-winning paving contractor. Consumer tip:If anyone knocks on your door and offers to pave your driveway for a cut-rate price with a load of leftover asphalt from a nearby paving job, walk away! Asphalt that is left from another job is now too cool to make a good pavement surface. Remember, as with any business transaction, you want to know the reputation of the company. Check references! This could save you headaches, heartache, and money, in the long run.